This week just flew by; I can't believe Friday is here! I took Liam up skiing twice, and his skills are already impressive! What's also impressive is me finagling a way into my snow pants and figuring out how to keep them up; this belly of mine is not holding me back! I'm hoping to get Conor up on the mountain with us this weekend, so he can beam with pride watching Liam right along with me! Here's my (sometimes) weekly five... As always, thanks to all the lovely hosts: Christina, Darci, April, & Natasha! Julie posted about this book, You Were the First, on IG, and I couldn't purchase it quick enough! At first I thought it would be part of his "big brother" gift, then I thought it would be fun to have it sooner, so I was going to give it to him on Valentine's Day... But it arrived, and I couldn't wait to read it with him, so it was a "just because" present and those are the best! The illustrations are beautiful, as is the story! I only wish there was a page about nursing a baby for the first time. Definitely a perfect gift for anyone expecting baby #2! For Two Fitness is having a 35% off sale right now (use code SWEATINGFORTWO)! I'm snagging myself a "running for two" tank, since I am in desperate need of some maternity workout gear! The belly-hanging-out-while-I-run look is just getting more & more ridiculous by the day! So the girl scouts are making the rounds... I was caught by total surprise a few days ago when one adorable little girl showed up on my porch asking if I wanted to order some cookies... I wanted to shout "GIVE ME ALL THE COOKIES!!!" Then I realized she had no cookies with her, that this was strictly the ordering time. After the initial disappointment faded, I ordered. I would like it known that I only signed up for 3 boxes, but only because I know that I'm going to impulse buy some every time I see a girl scout outside the grocery store. So, yay for Girl Scout cookie season (however, I am told that I will have to wait until March for the actual cookies)! Meyer lemons are everywhere right now, so I scoured Pinterest for a fun new recipe. I think I have settled on making these meyer lemon bars. Interestingly, I'm not really sure that I even like lemon bars... but pregnancy does strange things to you, and right now I think they may just hit the spot! Everyone seems to be home brewing these days, but beer is not my thing. Don't like it one bit! However, hard cider is my love language! And recently I discovered that there are home kits for that too! Once Spring is here and I'm no longer pregnant, I think I may just have to give this Hard Cider Home Brew a try! What a cute running shirt! And so far I've avoided the cookies but I have a feeling I will be ordering soon! Yum!!! 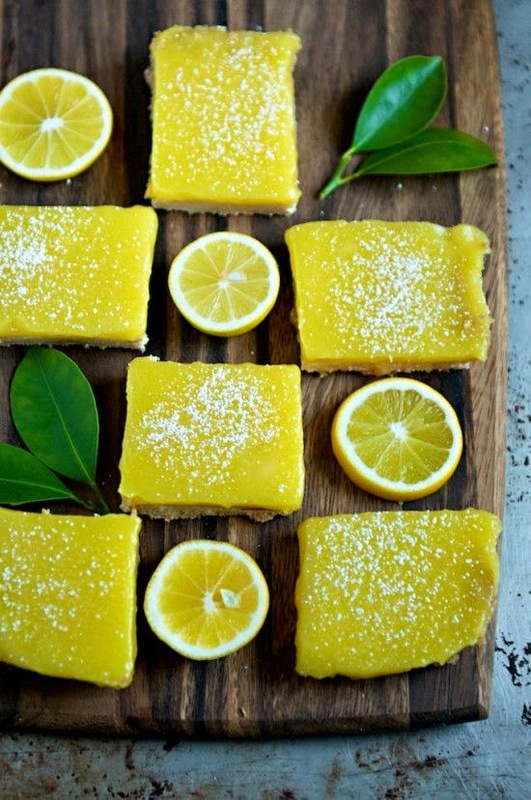 Those lemon bars look awesome! I love lemon anything! So cool that Liam is already skiing! I bet he looks so cute! The girl scouts got me too! And it's a little depressing you have to wait till March to get them. Hope you all have a great weekend! Loooooooooooove those tanks, I've bought my friends them as gifts!!! I love For Two Fitness shirts! I got my first one off of zulily for half off or so. Half off?! Nice score! They are pricey, but I still think I need one! oh those tanks are so cute! my friend is pregnant and that would be perfect for her. 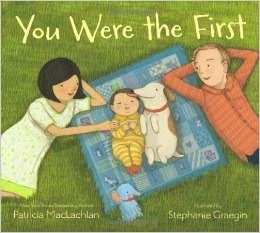 her first is like 11 though so i don't think he would dig that book, and the 2nd who is 2 is well, not the first haha so i can't get it for him. Happy Friday!! I loved the little video of Liam skiing on IG, I'm always SO impressed when little kids can ski!! I can never hold on to gifts either, that looks like such a sweet book. There are some gluten free girl scout cookies this year, and I'm so excited to try. 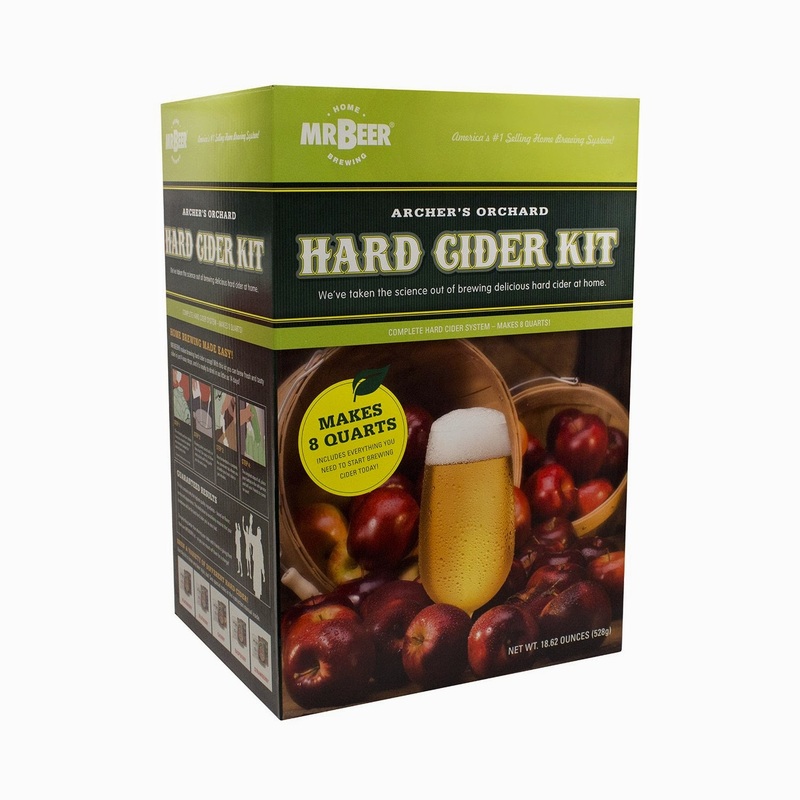 My husband homebrews (I don't like beer either), but we got a cider kit and made it and I was pretty impressed. It's currently 'on tap' in our kegerator. I wish you were closer (and post-baby) and I'd have you over for a drink!! :) You should totally make your own batch!! 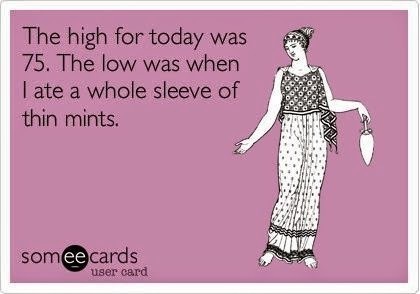 Also, Girl Scout season... YES. I cannot wait to order some of those cookies, I've been craving them ever since someone posted about them a couple days ago. Such a bummer that they come around in January and we have to wait until MARCH to get the cookies. That should be illegal! You are one brave mama! I think I'd be terrified to take Wyatt skiing by myself, and pregnant?! You rock! I will definitely have to get that book! It looks adorable.